Last time that Julieta Venegas graced her presence in the Bay was back in October of 2011, when she played at the Fox Theater in Oakland. 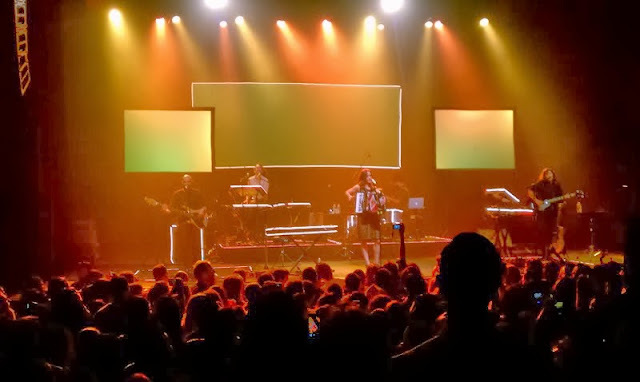 This past weekend, a packed Warfield theater awaited for her triumphant return to the stage. The opening act for Julieta’s San Francisco show happened to be none other than the duo Raul & Mexia – via San Jose, these two brothers are slowly paving their way to the hearts of music lovers around the Bay Area. And if you don’t know who they are, get to know them now – the music business runs in their blood since they happen to be the sons of Hernan Hernandez, vocalist/bassist of the international Mexican group Los Tigres Del Norte. You’ll often catch them opening up shows around San Jose, and most recently in San Francisco. After a fantastic set by Raul & Mexia, the fans were ready to see Julieta. And, when she came on stage, it was pure music bliss! Julieta looked absolutely radiant, wearing a high waist black lace skirt, with a matching crop top, and the most fabulous sky high-high black Mary Jane’s. Julieta could not look happier to be on stage, and in comparison to her previous shows, the stage featured gigantic screens, which would show different images that correlated with the specific song that she was performing. 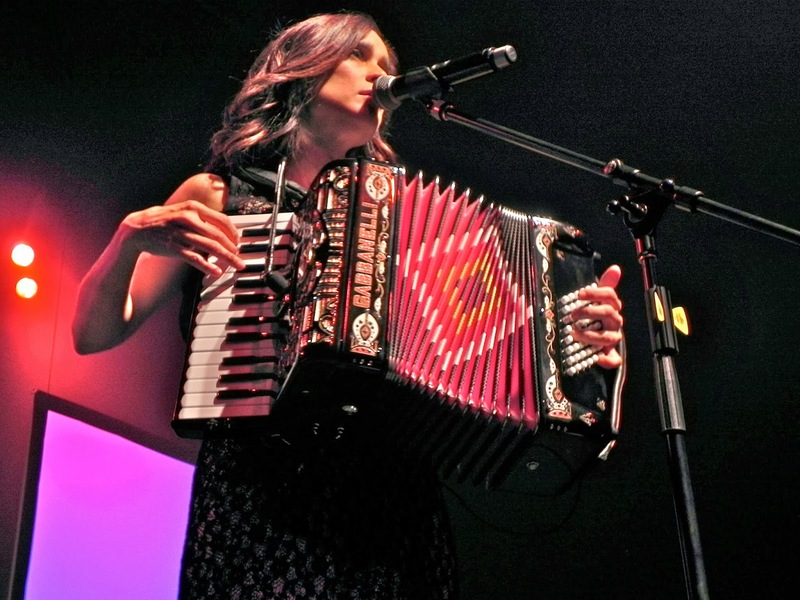 Julieta was glowing, she engaged with the audience, letting them know how excited she was to be back in the Bay. She also took the time to tell the audience anecdotes about how a particular song came to be. Julieta will continue the Los Momentos tour which will take her to cities such as Miami, Chicago, Charlotte, Dallas, and she will close the tour in Monterrey, Mexico on November 9th. “Los Momentos” is out now, and you can grab a copy on iTunes or amazon. 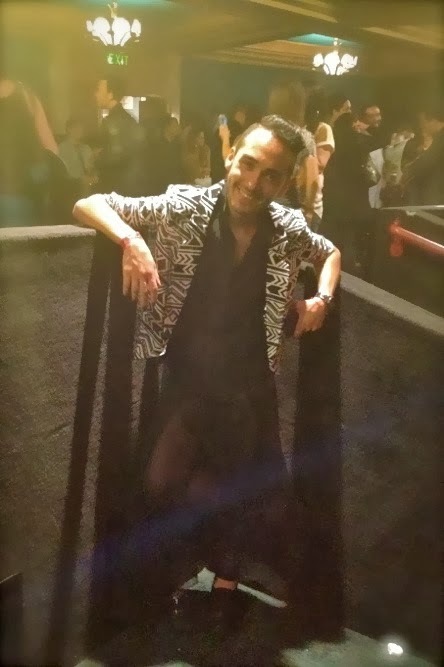 At the end of the show I was on the hunt to find the most stylish fan at the concert, and I came across Ramiro from Tortilla Power. Can we please focus on how amazing his outfit is? He was wearing a black sheer skirt, and his blazer was simply divine. Why didn't I think of wearing an abstract print blazer? The most stylish-fan-showcase goes out to him.